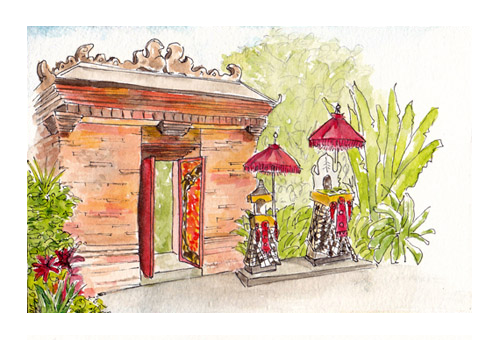 Home › Welcome to Travel Sketching! Enjoy the atmosphere, ambience and excitement of visiting new places. Capture and record other cultures and lifestyles through sketching and travel notes while creating a visual souvenir of your holiday. It is an impression of people and place. It is quick and spontaneous. 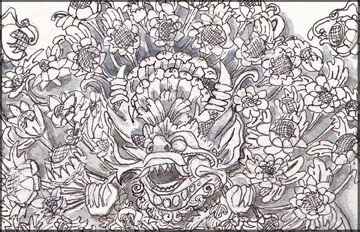 Anyone can sketch, from the absolute beginner to the experienced artist. It is your personal Interpretation of what you see. 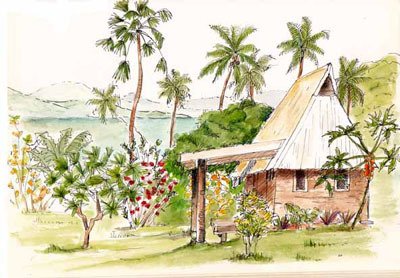 Learn the techniques of pen and watercolour wash through the Travel Sketching Distance Learning Course, or join Leonie on one of her unique sketching holidays. Copyright © 2019, Holiday Sketching. All Rights Reserved.